October 2015—The sun streams brightly through energy-efficient windows at the Hawthorne Youth & Community Center on a crisp fall day. 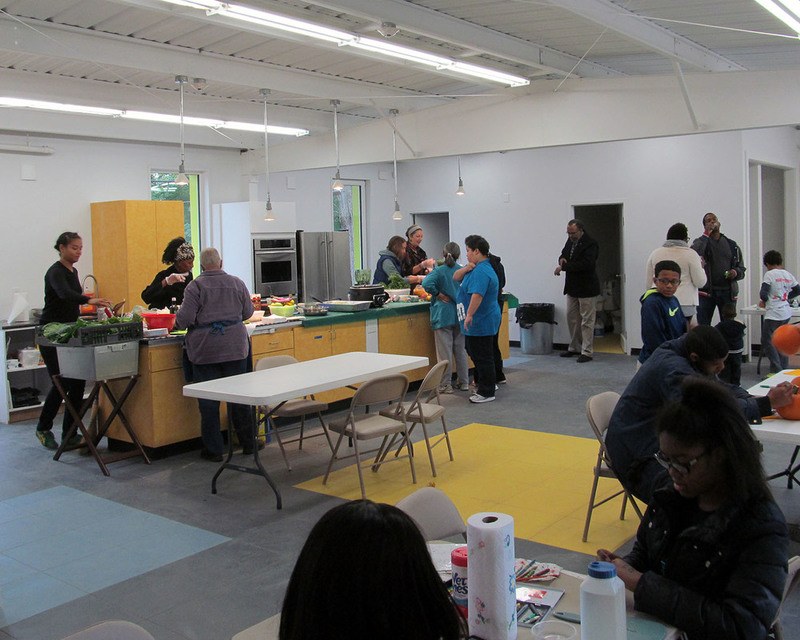 Located in the Highland Park section of Roxbury, less than a mile from Boston Building Resources, the center has been expanded and fully renovated to serve people from the neighborhood with youth programming, community meetings, and potluck suppers. Looking around the space, a visitor can see many items from Boston Building Resources—in addition to those that are unseen. Out in the open, items from the Reuse Center include kitchen appliances and bathroom sinks. BBR also made the connection that brought a commercial kitchen to the space after a restaurant test kitchen was remodeled. The addition of an accessible bathroom was also made possible by affordable BBR fixtures. 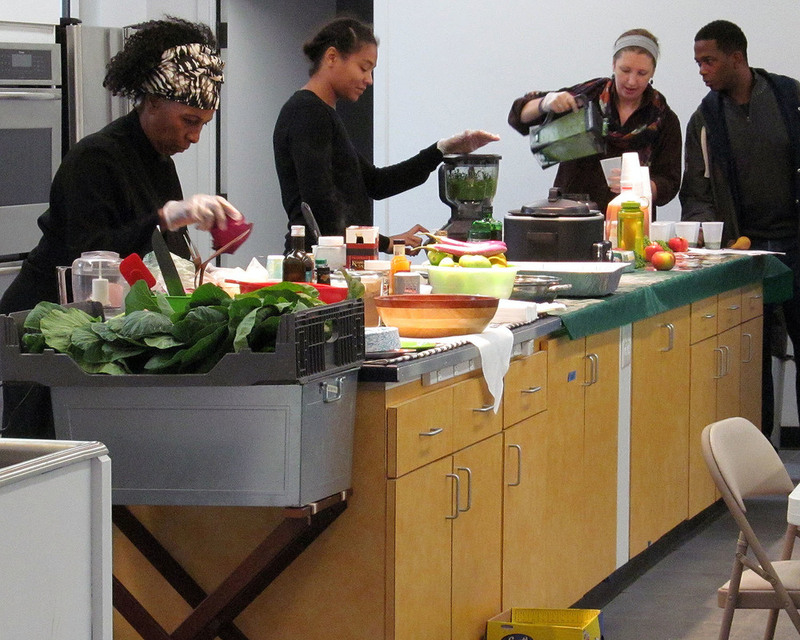 Neighbors enjoyed the space at this Green Food Fest on October 24. The center needed more space for storage and for programming. Programs for youth and families are treasured by the Highland Park neighborhood. 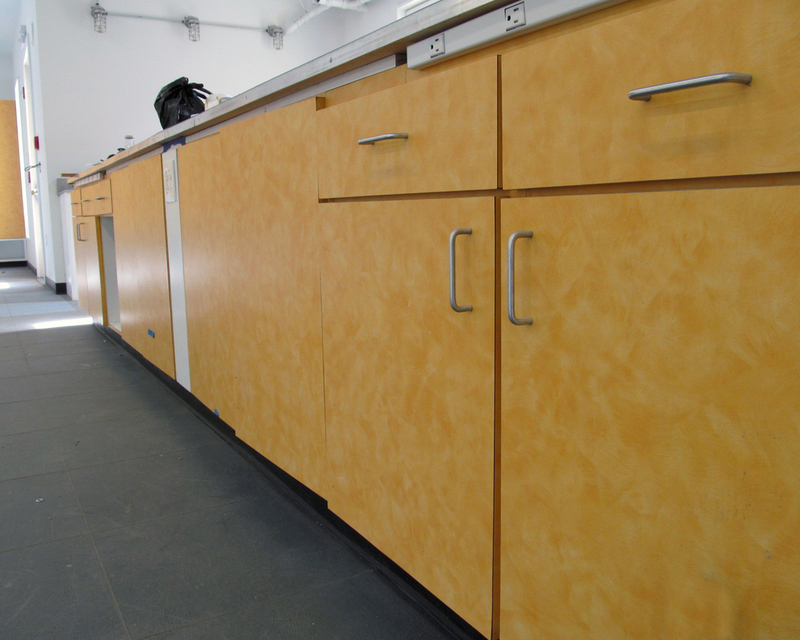 Placetailor, a design/build firm, took on the expansion and renovation project. 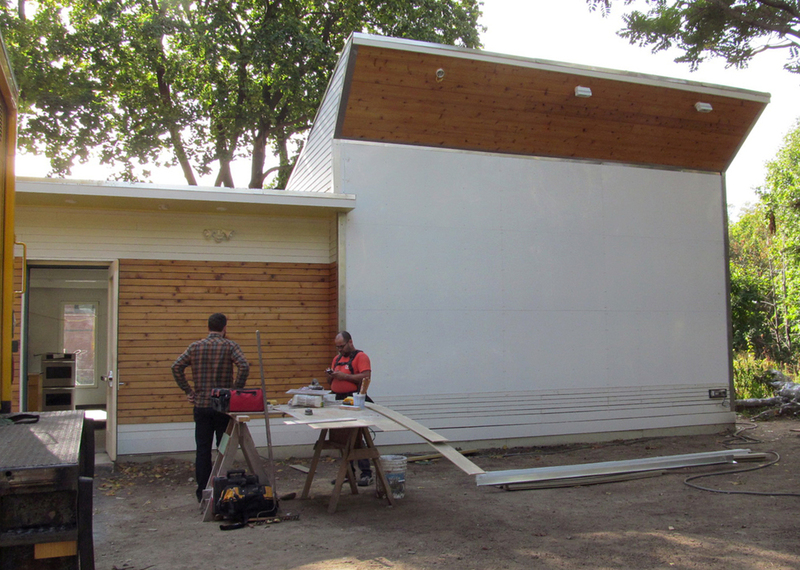 Insulation from BBR was part of a "passive house" energy retrofit. This outdoor screen can be used for movie nights. Local youth helped design the colorful floor tile pattern. ...used for cooking demonstrations like this one. Wall light fixtures are another Reuse Center find. 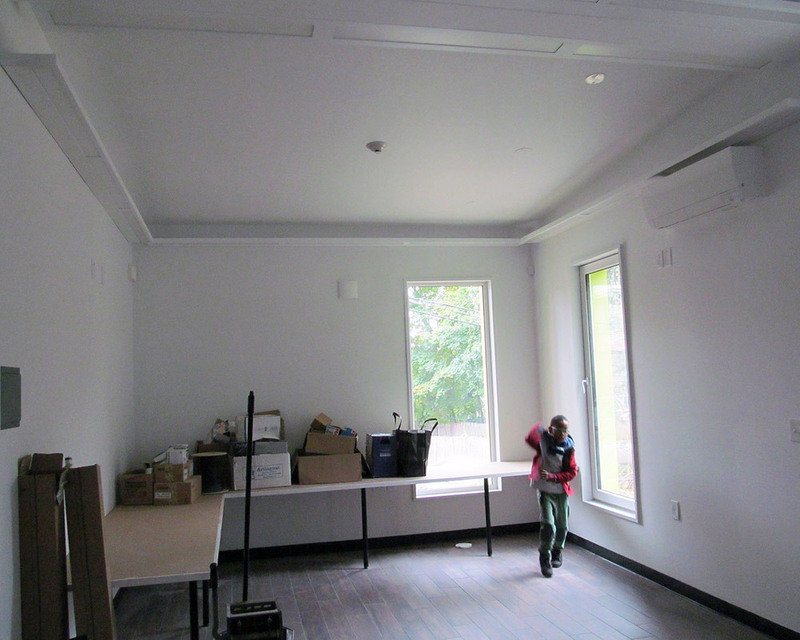 To stay within the center’s tight renovation budget, Placetailor used volunteer labor as much as possible, including teens from the neighborhood, a Boston Cares group, and “Sisters in the Brotherhood” women carpenters, who built two large swinging doors. The renovated center and its many programs are the legacy of activist Samantha Sadd, who died in January 2015. Her passion for the center and its varied programs not only made possible the construction of a community building, but also the building of a community whose civic pride and supportive relationships will shine forth at every movie night, cooking class, and Highland Park Neighborhood Coalition meeting—where there will finally be enough space to set up chairs for everyone. Help make more projects like this possible with a charitable contribution to the Reuse Center at BBR. Top (circular) photo courtesy of the Bay State Banner. Second and third slideshow photos courtesy of the Hawthorne Youth & Community Center.